Well, it’s March which is officially spring (even if there are still blizzards up North)! Spring is always the time of year for cleansing. We spring clean the yard, the garage, the closets, and the house. What we should be spring cleaning too… is our bodies. In November & December we tend to over indulge. In January, we commit to eating healthy and clean and we commit to some sort of movement/exercise schedule. By March, research shows that all that new year commitment begins to wane, although I hope that isn’t you. So, if we concentrate on Spring Cleaning our bodies in March, it reinvigorates that commitment to health. Plus, I tend to have a lot of patients ask me about cleanses this time of year. First let me say that I’m not a huge fan of those cleanses that just purge your intestines. If you eat real whole food, supplement with enzymes with meals and snacks, and take a probiotic you should have fine bowel movements if you are hydrating properly. Now, the cleanses and detoxes that I do recommend. There is not a one size fits all cleanse or detox for everyone. I have a few that I like and recommend based on what your current health struggles are, what your main symptoms are, or what you are most concerned about considering your lifestyle. The first detox that I recommend is Chelex, an oral chelator. This means it goes into your body hunts out the toxins and heavy metals, binds them and eliminates them. This is important if you have a high exposure to chemicals. For example, those that eat a lot of fish including sushi every week, have a higher level of mercury and other toxins that accumulate in the fish. Also, those in the automotive or airline industries. Working in, around, or on planes have a high toxin exposure especially mechanics, flight attendants and pilots. Also, car mechanics or similar fields around exhaust, paint and solvents daily. Lawn care & pest workers are exposed to greater amounts of toxic chemicals. If this is you, then the Chelex would be a good choice to bind and remove these toxins from your body. The second detox is XenoProtX. This cleanse focuses on removing old and excess estrogens in your body. These can make PMS symptoms almost unbearable. You can get heavier or irregular cycles, greater mood swings, and tender breasts and bloating. This formula will help to bind and remove these from circulating which contributes to a better estrogen progesterone balance. High or imbalanced estrogen can lead to many undesireable diseases, so taking care of this sooner than later is always good. The third detox is LiverCare. This is an Ayurvedic formula that helps to nourish and support liver function. I use this if you have elevated liver enzymes on your blood panel. This is one formula that normalizes liver enzymes naturally and FAST. Even if you don’t have elevated liver enzymes, this detox is still a stellar choice. The liver is responsible for so many functions in the body. It clears hormones, chemicals you’ve been exposed to, and unbeknownst to most, actually processes the fructose part of sugars. Diets high in processed foods, sweets, high fructose corn syrup, & agave can take a toll on liver function. It’s like an 8 lane highway merging into 1 lane! It’s like whoa Nelly! Everything backs up and the liver will start to enlarge to accommodate the traffic. This is like giving the liver an assistant or two to catch up on the workload. Lastly, I have a homeopathic detox called Drainage. It helps to improve the function of the liver and kidneys to increase the body’s own ability to detoxify. Now you never want to do everything all at once. Pick the one that most addresses your concerns and lifestyle. 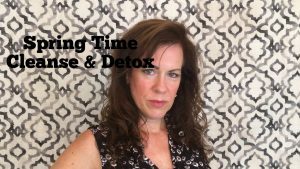 Click on over to the video to see more details and to see my everyday recommendations to make your body a detoxing machine. Leave me comments and questions. Until next time stay well. This entry was written by Dr. Shelly Masters , posted on Tuesday March 21 2017at 03:03 pm , filed under Uncategorized and tagged chelation, chelation therapy, chelators, cleanse, estrogen, estrogen dominance, heavy metals, homeopathic, hormonal balance, kidney function, liver care, liver function, spring cleanse . Bookmark the permalink . Post a comment below or leave a trackback: Trackback URL.